Space is limited to 1500 people. The year 1969 began with the Fifth Dimension’s recording of “The Age of Aquarius“ rising quickly to No. 1 on the charts. It was a time of War – with a younger generation shouting for peace. It was a time filled with magical moments. A summer that included Neil Armstrong walking on the moon, and 26 days later 400,000 people walking onto a farm in New York for “3 Days of Peace and Music” that is remembered simply as Woodstock. This U.S. Tours Spectacular event aligns Rock n’ Roll History, with a moonwalk, youthful memories, and a No. 1 Hit Song. The Age of Aquarius . . . .
Bring those Old Hippies and those 60’s Music Lovers with you, pull on those Tie-Dyed Shirts and Bell Bottoms, put flowers in your hair, grab your Love beads and join us in Cleveland as we kick off the Woodstock 50th Anniversary weekend. Dinner is on your own this evening after hotel check-in. Featured hotels for this event include the Hyatt Place Cleveland/Independence, Holiday Inn Cleveland Clinic, the Doubletree and Intercontinental Hotel. Hotel assignments will be made upon receipt of your second deposit. Tonight the doors of the Rock and Roll Hall of Fame open at 7:00 pm for an exclusive four hours among the exhibits. It’s been said that visiting the Rock & Roll Hall of Fame is like taking a peek into your favorite musician’s closet. The Hall’s permanent collection contains thousands of one-of-a-kind items ranging from musical instruments and song lyrics to quirky stage props and colorful costumes. Plus you have a chance to see the Rock Hall’s Special Exhibit on what is, perhaps the most pivotal moment in music history – Woodstock. It was a day when Music became a counterculture’s most significant expression. Groups and artists such as Jefferson Airplane, Sly & The Family Stone, The Who, Janis Joplin, Jimi Hendrix and many others created a new set of sounds. This exhibit celebrates the occurrences and impact of that rainy three-day weekend in August 1969. Rare artifacts in this display celebrate the ambition and ingenuity of those who created the festival as well as the performers who played. It will give you pause to remember the significance of Woodstock and how it changed music forever. You will also find exhibits with film & video, interactive kiosks, reading material and, of course, plenty of music. We have hired a number of extra docents this evening to help as you enjoy Rock History. There will be cash bars should you want to rest a moment with a cocktail, hors d’oeurves and desserts. Today’s activities are to be scheduled as each group planner desires, it’s an opportunity to put your own personal touch on the trip. 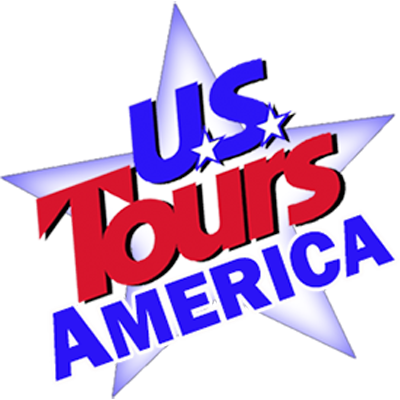 There are optional sightseeing tours available that we can add to your tour package. The Second night’s event coincide with the Opening of Woodstock 50 years ago. It is a Rock Gala, at the famous Cleveland Auditorium. It’s a dinner dance and a musical stage production, a Woodstock Tribute Band, an audience in bell bottoms and tie-died shirts. It’s an evening of music and dancing, dining and remembering. We encourage everyone to dress for the event. Once you cross the doorway it is again the year 1969, cast away those conservative clothes and thoughts that came with maturity and enjoy the memories of your youth, celebrate “Peace & Music,” Rock on. Should you have customers who actually attended the 1969 Woodstock Event, we want to publish their memories in an anniversary booklet to be placed on the dinner table. Ask them to hold their comments to 500 words, and submit to us 60 days in advance. Each contributor will be recognized at the event and awarded a special “Peace & Love” necklace. Said, I’m going down to Yasgur’s farm, going to join in a rock and roll band. And maybe it’s the time of the year, yes and maybe it’s the time of man. “The Age of Aquarius” was written for the musical Hair (1967). Lyrics by James Rado & Gerome Ragni, music by Galt McDermot, released as a single in 1969 by The 5th Dimension.